Easily upload your photos and make custom photo gifts in minutes. While photo gifts have been customer favorites, we are excited to share our new statement gifts – all living under the umbrella of personalized gifts. Here you can not only upload photos to create custom photo gifts like iPhone cases, but you can also design beautiful non-photo items for high-quality gifting. For life’s biggest and most memorable moments, personalized gifts can be a wonderful way to show how much you care. From etched wine decanters to monogrammed beer growlers, we have something for every occasion. Our customized gifts make great gifts for newlyweds and for recent grads – traditional milestones that occur throughout our lives – but also for celebrating new homes or thanking a host or hostess. Beyond gift giving, we suggest incorporating our etched and engraved products into your home decor. Our mason jars add a touch of fun to your everyday drinkware, though you can also look at our elegant stemless wine glasses for a more elevated dining experience. 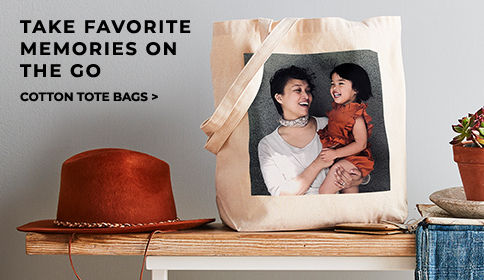 Just a smattering of Shutterfly’s personalized gifts can add a cozy and unique vibe to your home. These thoughtful gifts – whether a gift for you or for a loved one – are easy to make, designed to be unique, and allow you to add your signature touch. At Shutterfly, we are here to help you share life’s joy.